While staying in Japan last month, we stayed at different hotels. 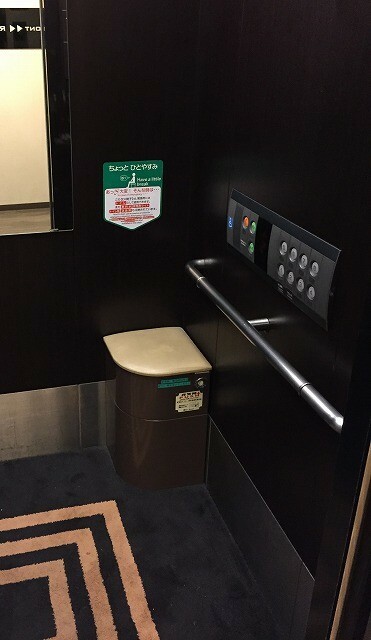 One of the hotels in Nagoya had a very useful and thoughtful item I've never seen in the elevator. 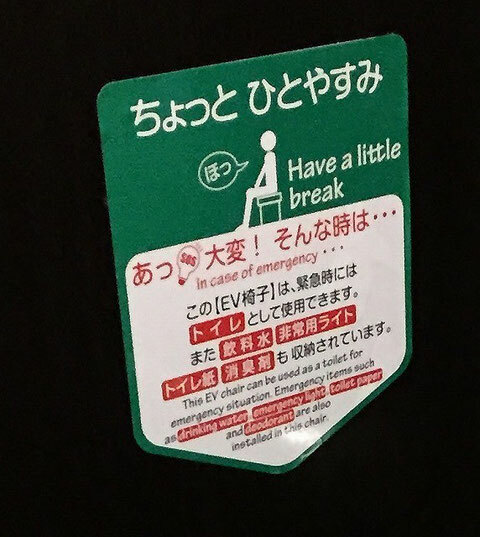 At first, I thought it was a chair since it says, "Have a little break!" both in Japanese and English. Indeed, my daugher sit on it as soon as she ran into the elevator. But there are some more explanations. "This Ev chair can be used as a toilet for emergency situation. 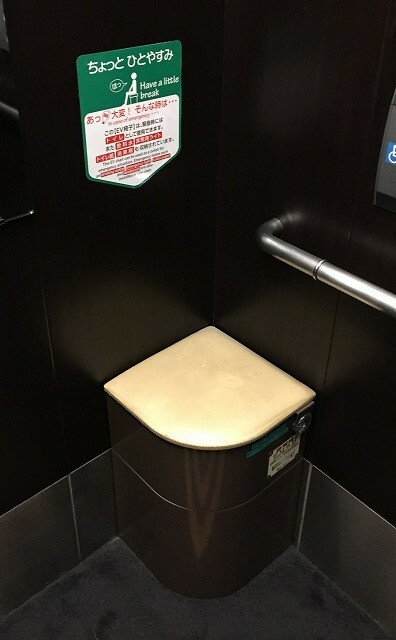 Emergency items such as drinking water, emergency light, toilet paper, and deodorant are also installed in this chair." We can easily imagine we need a bathroom and toilet paper in case the elevator stopped for a long time but how about deodorant? I was truly impressed by the fact they included deodorant spray in the chair as a emergency item and I thought it was very thoughtful.